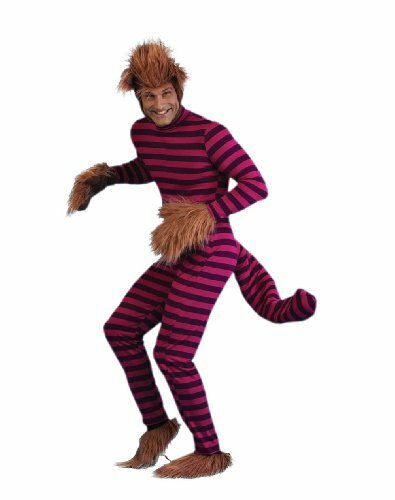 On this page you can find several Cheshire Cat costumes. You can also be creative and unique, and assemble your own costume using the accessories! 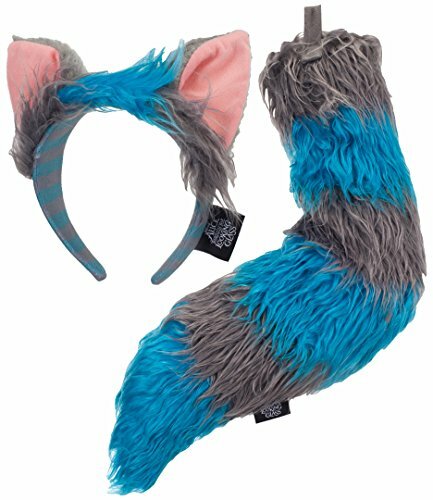 Complete Cheshire Cat costume: one piece jumpsuit with attached tail, fur headpiece, mitts and shoe covers. For plus size men or women. 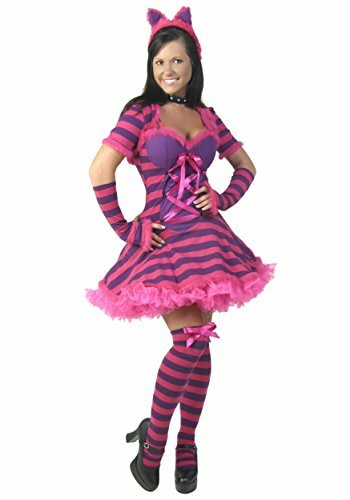 Cheshire Cat costume for adults (standard size). Striped Cheshire Catsuit, including a collar, tail, cat ears headband, and fingerless gloves. 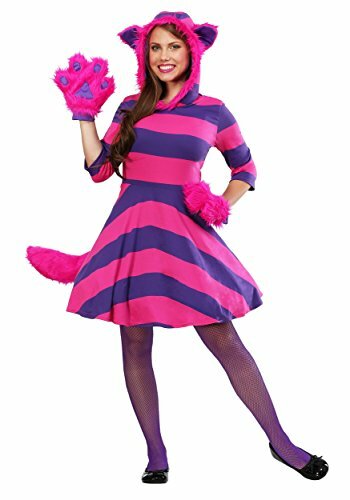 Cheshire Cat costume dress with three quarter sleeves and a fit and flare skirt. 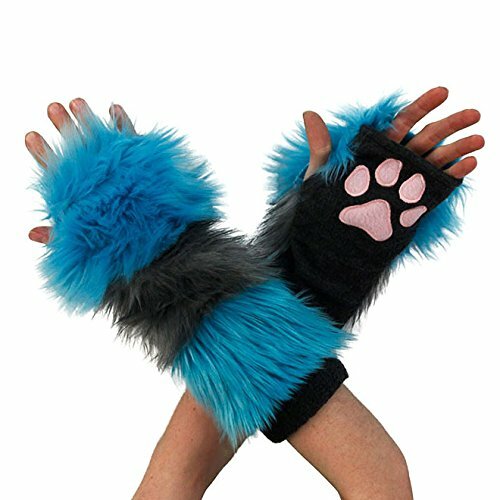 Includes an attached tail and hood, and the furry mittens! 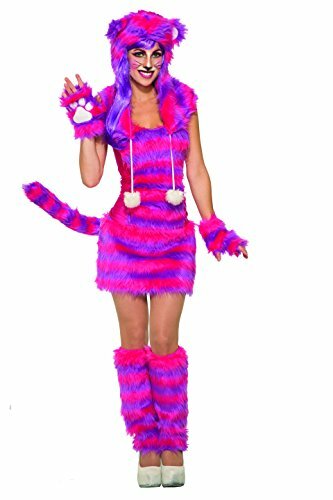 Cheshire Cat costume, consisting of a dress with thin, adjustable shoulder straps, a pink faux fur trim at the neckline and attached tail, a shrug, headband with ears, wristlets, choker, and thigh high stockings. Striped Cheshire Cat mini dress with furry trim. Cute Cheshire Cat overall with headband. 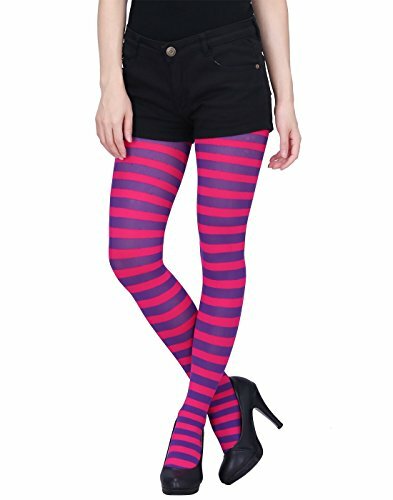 Fitted striped pajama’s – perfect to use as a base for your own Cheshire Cat costume! Available in several color variations. Adorable Cheshire Cat costume for girls and toddlers. 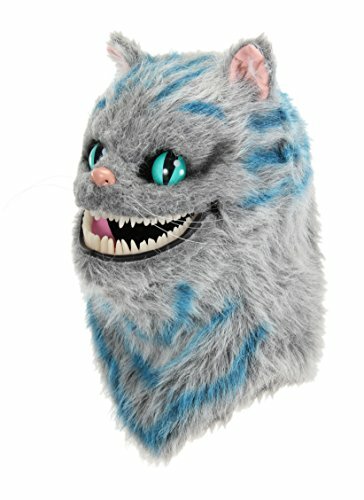 Cheshire Cat costume for toddlers (size 4T). Includes a dress with attached tail, shrug, and headband. 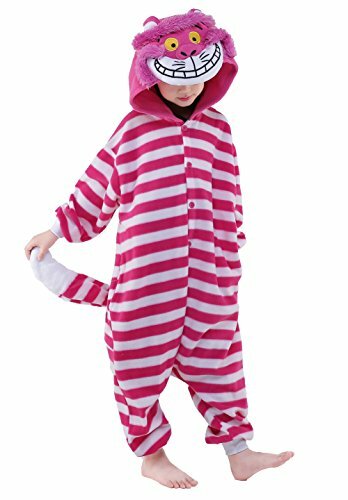 Cheshire cat costume for infants. 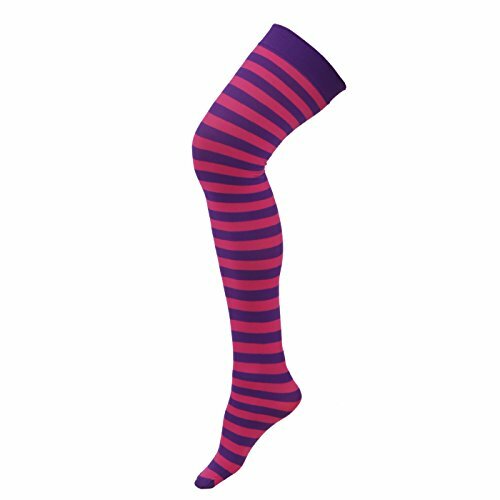 Complete your Cheshire Cat outfit with these pink furry leg warmers. 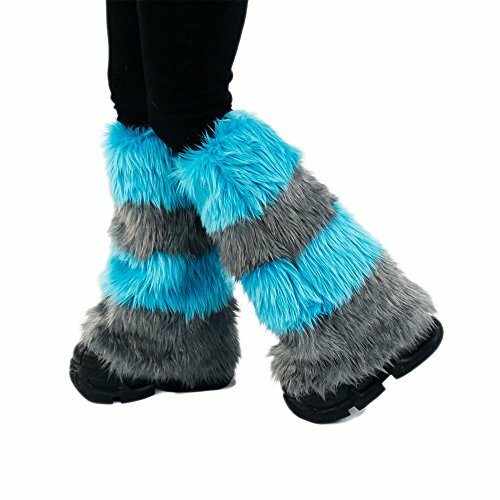 Faux fur striped leg warmers. Available in hot pink/purple or in turquoise/gray. 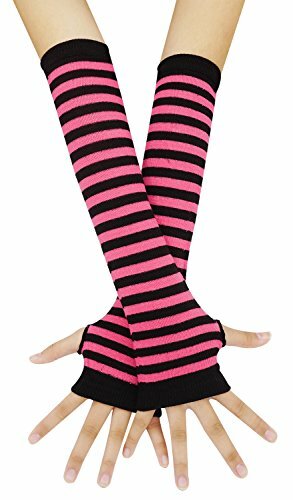 Faux fur striped fingerless gloves. Available in hot pink/purple or in turquoise/gray. Striped bandana with a huge Cheshire Cat grin, to complete your costume. Temporary tattoo of a mouth with sharp teeth. Perfect for easily creating a Cheshire Cat grin, if you’re not good at applying make-up. Also very suitable for completing Halloween outfits. Cute tule petticoat in Cheshire Cat colors. Wear it to make your costume dress stand out, or by itself. 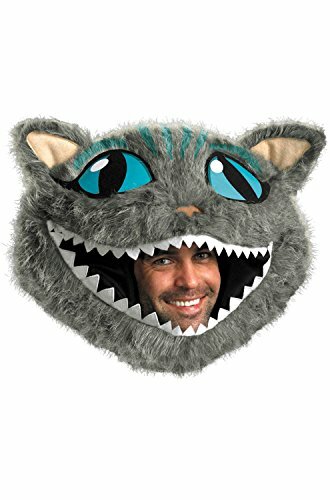 Fuzzy Cheshire Cat hat with ears, and a tail. For adults and kids 14 years and up. Sunglasses shaped like the Cheshire Cat’s face. Adult size.